JHG Plumbing is a reliable, and trustworthy company that provides top quality Surrey plumber services to its customers. Local customers benefit from a fast response time, appointment times convenient to the customer, and local knowledge. Available for domestic or commercial work, small jobs through to large installations we aim to deliver consistent customer satisfaction each and every time. Our prices are extremely competitive and we have customers who return to use our services time and again. We are in Surrey based in the heart of the Elmbridge area, that provides Surrey plumber services not only to Elmbridge, but also Spelthorne, Runnymede, and the Greater London, surrounding areas. We offer a No call out fee with free quotations. We are fully qualified & insured and all our work is guaranteed. 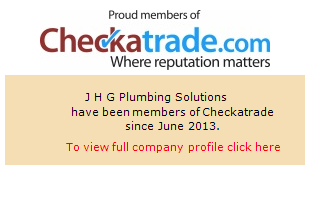 Registered with Checkatrade and Surrey Standard Approved. 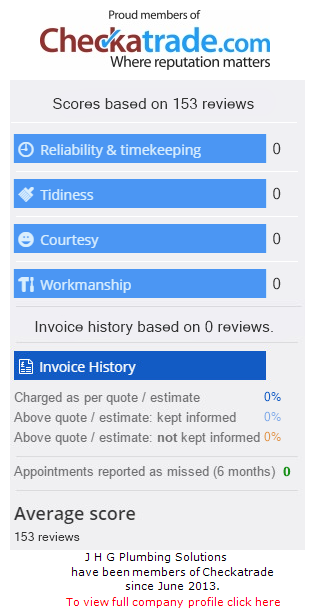 So please give us a call if you need a local, friendly and reliable plumber, whether you need to make an appointment for a quote or to undertake the work.